I want this blog to show the journey of my learning and developing of my jewellery designing and making skills. I welcome all comments, questions and your thoughts on how I am progressing. This blog is a huge learning curve for me and I know I will make mistakes, but we all learn through our mistakes, and I want to learn. The only way to learn is to try, and yes to possibly fail but to learn from any failure to make a better more interesting and of course desirable product. I have always believed in "Pick yourself up and try all over again" if ever I have failed or made mistakes. 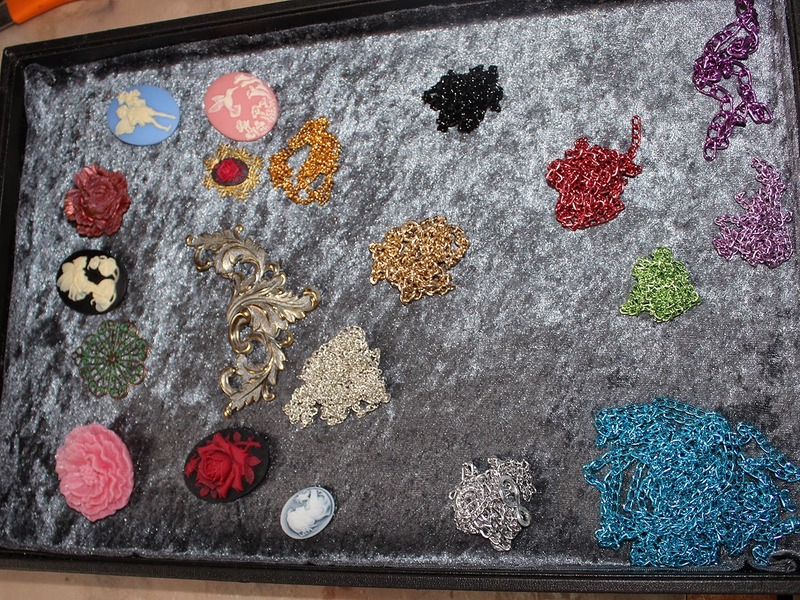 I have started from scratch a couple of very successful soft furnishing workrooms but have now stopped sewing and am following my creative side and making jewellery. So the challenge to build a jewellery range does not daunt me BUT this blog does. I made my first piece of jewellery in 2012 selling at assorted markets. I opened an Etsy shop in June 2014 and am happy to say it is starting to do well. I love thinking about the different places around the world that my jewellery has been posted to and the wonderful people that have trusted me enough to buy from me. I thank them one and all. With this blog page I would like to show you some of the choker design ideas I am having and how they are developing, evolving, changing etc. Chokers that are not just simple ribbon with something hanging off it. 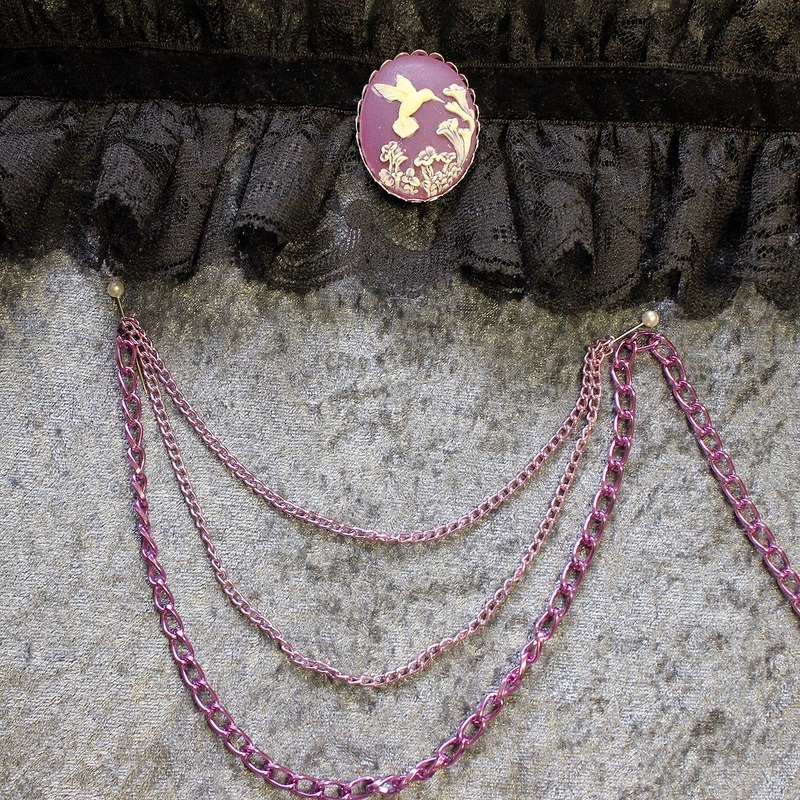 Mine are getting dressed up with lace and chain, beads and hand made, hand painted cameos. 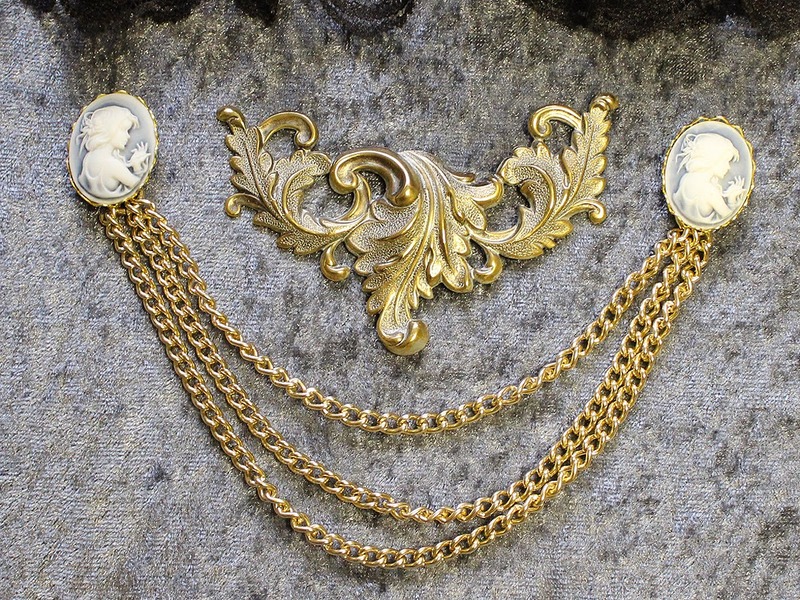 I have started making my own cameos, that I am then painting and setting onto filigree. Chains that link everything is a recognisable design. Chains that become part of the total look, that make that special finish. 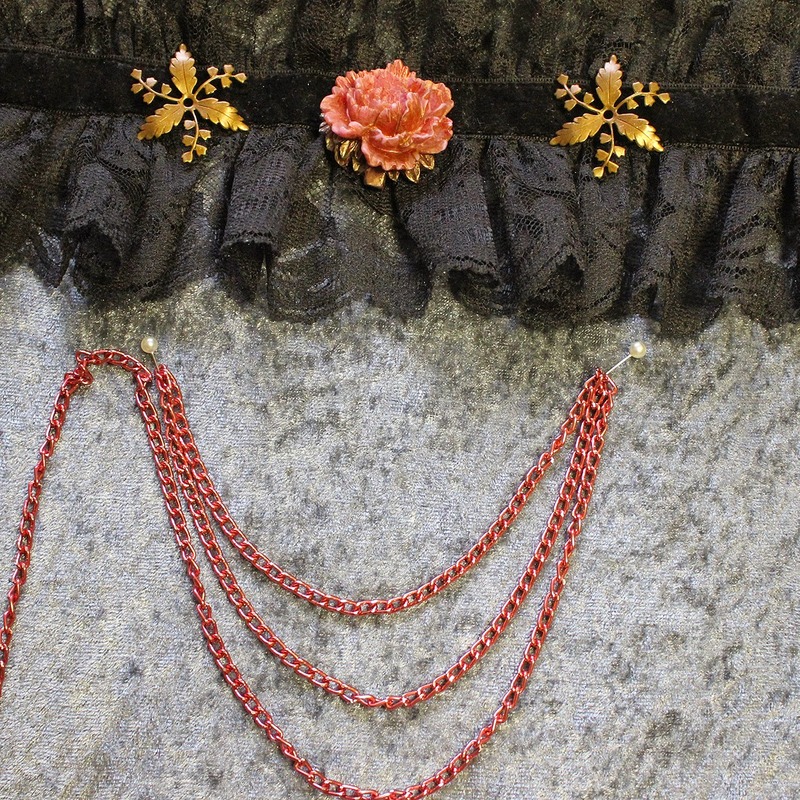 Chains that are feminine and used in a soft delicate way. I have quite a selection of lovely coloured chain, and will be painting some the cameos to compliment the chain in what I hope will be a pleasant combination. So many colours to choose from. So many possibilities. Lovely cameos I can paint. This lovely brass stamping has been highlighted with a little guilders paste and is just perfect as it is. I will probably only place the two cameos on either side and again use chain to link them together. Maybe a string of pearls with the chain but only small ones in maybe cream. This flower has been highlighted and I feel it just needs the antique chain, and the leaf sprays with maybe pearls in the centre. This time maybe dusty red chain to tie it all together. One of my favourite colours is purple and this beautiful cameo is just waiting to be painted and teamed with some purple chain. Not sure what will feature beside the cameo yet, I will have to wait and see what jumps out of my stash of goodies. Thank you for looking at my blog and please call again. I would very much appreciate any comments.